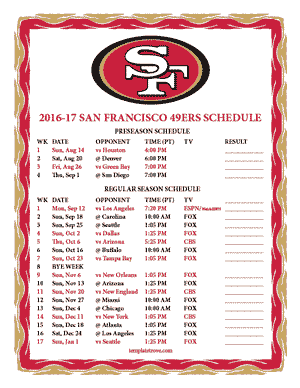 The 49ers play in the NFC West along with the Arizona Cardinals, Seattle Seahawks and Los Angeles Rams. 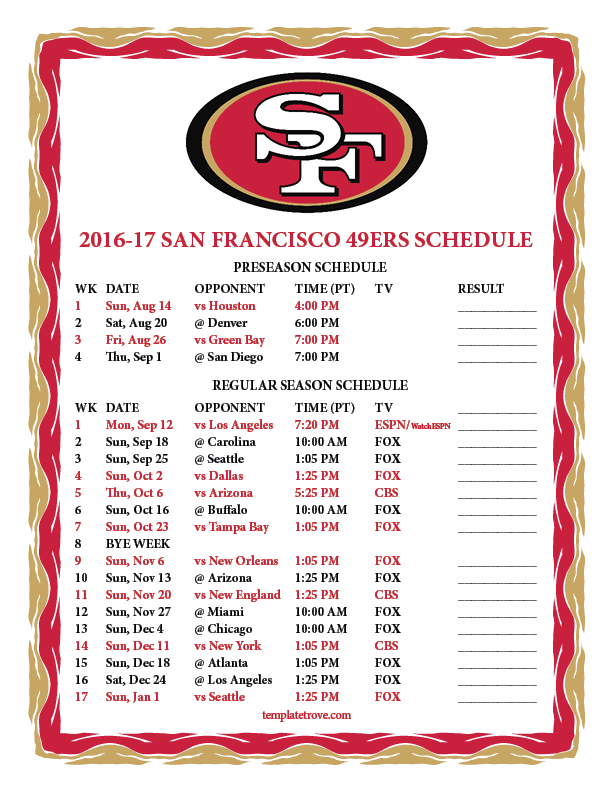 This year, San Francisco is featured on Monday Night Football the first week of the regular season where they will play the Los Angeles Rams. October 6 will feature a Thursday night prime time game against division rival Arizona Cardinals. Their out of division schedule have them playing tough road games at Carolina and Buffalo as well as hosting the New England Patriots. The 49ers hope to rebound from a last place finish in their division last year and improve on the second worst record in the NFC.